The Entire On-Air Staff Let Go at Majic 102.3 in D.C. The Washington, D.C. and Baltimore area TV-radio-media website DCRTV.com broke the news that Radio One's Urban AC station has made big changes at WMMJ, Majic 102.3. Every on-air voice is gone except the Tom Joyner Morning Show. 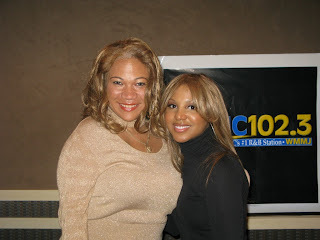 The on-air personalities that got the ax are Olivia Fox (pictured here with Toni Braxton), Suge, Mike Chase, Alvin John Waples. 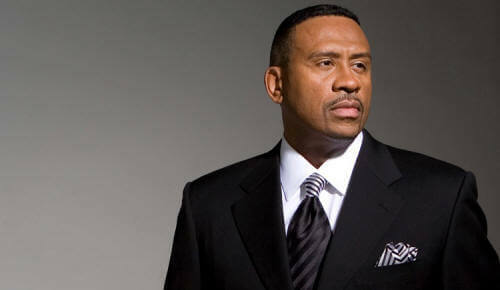 Also included was music director and morning show producer Chris Harris. DCRTV reports that Majic 102.3 recently placed second in the DC market ratings and their PPM results led to this decision. The station, according to a source, saw a ratings spike when it cut back on the announcers talking to the audience. It's looks like Radio One, and not the Performance Royalty tax (according to Cathy Hughes) is killing Black Radio. Well at least Black Radio announcers. Is this their new business model? To become Pandora, LastFM, or Slacker internet radio. this shouldn't really come as a surprise anyone except those that maybe champion black owned media outlets that continually jerk their targeted demo group that they program to. To the editor of this blog, it will not be ppm that will or has already destroyed urban radio, it will be those who are in posistions that call the shots in it.